Ficus benjamina 'Natasja' is an easy to grow, highly popular houseplant, it will add a special atmosphere to any room! The beautiful fresh green leaves of this plant just exude ‘space’ and ‘calm’ in the living room, bathroom, office, or indeed anywhere you wish to position it. 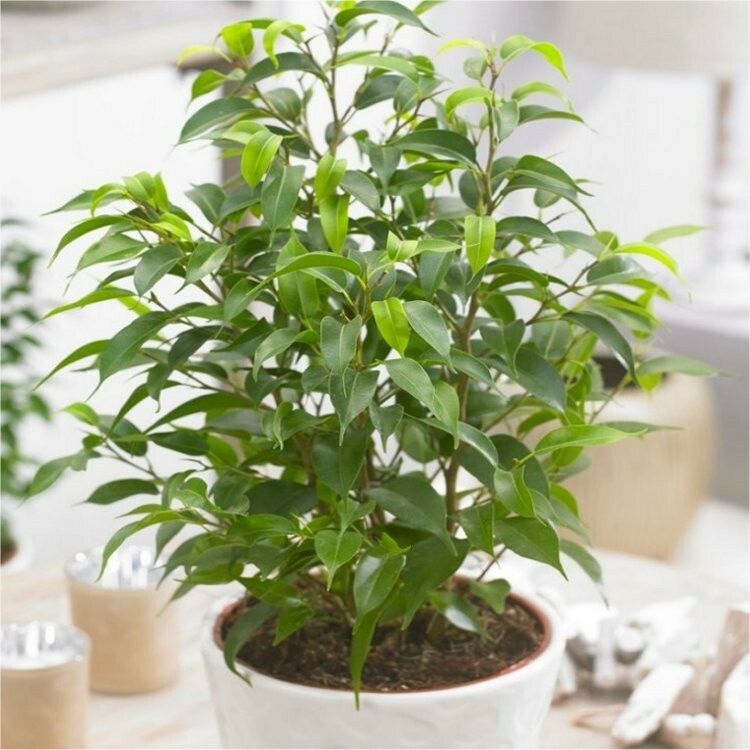 Low maintenance, this ficus plant is supplied as pictured in an approx 12cm container at around 30cm tall, complete with a white display pot.